For fans of Stiff by Mary Roach and Ghostland by Colin Dickey, this illuminating journey written by an ordained minister seeks to uncover the reasons we are drawn to the morbid side of life. 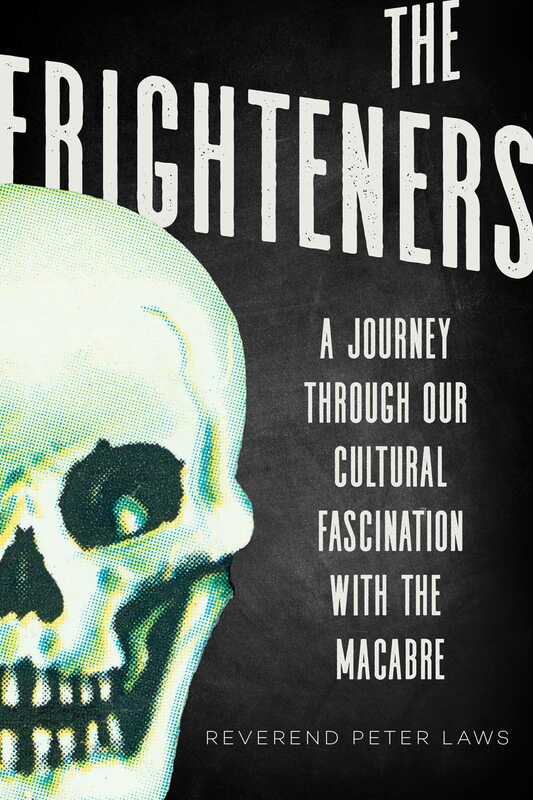 The Firghteners is a bizarrely compelling, laugh-out-loud exploration of society’s fascination with the dark, spooky, and downright repellent, written by a man who went from horror-obsessed church hater to a God-fearing Christian, who then reconciled his love of the macabre with his new faith. Laws takes us on a worldwide adventure to shine a light on the dark corners of our own minds. He meets the people who collect serial killers’ hair, spends a night in a haunted hotel, and has dinner with a woman who keeps her own coffin in her living room, ready for the big day. He’s chased by zombies through an underground nuclear bunker, hunts a supposed real-life werewolf through the city streets, and meets self-proclaimed vampires who drink actual blood. From the corpse-packed crypts of Rome to the spooky streets of a Transylvanian night, he asks why he, and millions of other people, are drawn to ponder monsters, ghosts, death, and gore. And, in a world that worships rationality and points an accusing finger at violent video games and gruesome films, can a love of morbid culture actually give both adults and children safe ways to confront our mortality? Might it even have power to re-enchant our jaded world? Grab your crucifixes, pack the silver bullets, and join the Sinister Minister on this celebratory romp through our morbid curiosities.